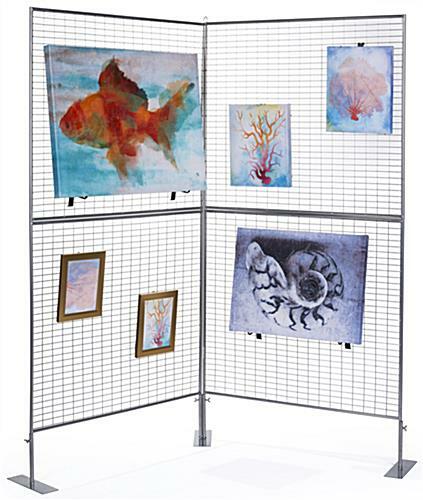 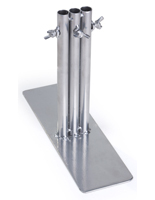 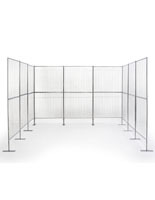 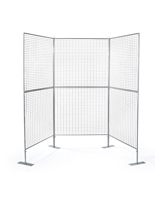 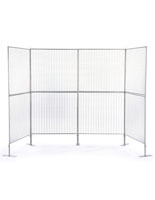 These 4-leg gridwall panel bases are made to hold multiple poster stands or ADP62P grid showcases (not included). 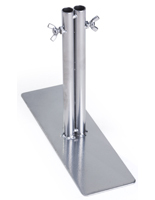 Each of the fixtures is made of durable iron with a powder silver finish that will fit in any environment. 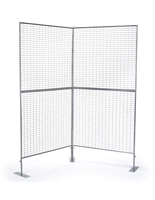 The gridwall panel bases feature no tools because their design includes a wingnut for quick setup and disassembly. This means they can be adjusted easily to accommodate uneven flooring. 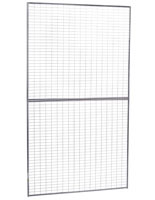 1.8" x 8.0" x 1.1"